Dorothy Kerr’s contribution to Highland Dancing within Australia is considerable and with her drive and vision to lift the art of Highland Dancing within Australia she did achieve much success. Following the SOBHD steps from the initial 16mm film produced in Scotland she passed such knowledge on to teachers in NSW cities and towns and in other States. For her services to Highland Dancing she was honoured with the British Empire Medal and also recognised as Duine Uasal with post-nominal rights of use of D.Ua for service to the Celts by the Celtic Council of Australia. Her encouragement, advice and assistance to the younger teacher will be remembered by many across Australia. As the ABHD’s first Hon. Secretary she was instrumental in gaining support and approval for the ABHDI to conduct judges’ examinations within Australia. In collaboration with Vera Lacey and Mabel MacInnes she introduced the first Highland examinations into Australia in 1952 and registered the first Championship under the auspices of the SOBHD. 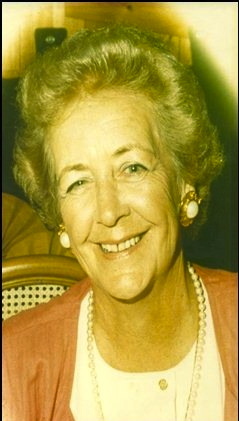 She was a registered judge, examiner and great teacher culminating in two of her pupils winning the World Championship. Being honoured along with four other distinguished world Highland teachers in Las Vegas in 2004 meant a great deal to Mrs Kerr. She was a mentor to many teachers. Mrs Kerr indeed left us with a great legacy on her passing in 2008. Born in Arncliffe, Sydney, NSW, Maree Allen (nee Fairfield) has been involved in Highland Dancing since the age of five and remains very active in judging and administration in NSW and Australia. She is one of the longest serving SOBHD Judges in Australia having passed the SOBHD Judges Test in Scotland in 1962. It was in 1945 that Mr John Cousins invited Maree, at the time a very successful competitive dancer, to become his assistant and later in partnership, to teach what he knew from experience was the authentic Highland Dancing h had learnt in Scotland as a young man. Both became foundation members of the Scottish Dancing Association of Australia whose beginnings commenced in the early 1950s and instrumental in the formation of the ABHD. The studio produced many successful competitive pupils. When as President of the ABHDI, Maree worked diligently for recognition of ABHDI qualified Judges by the SOBHD. 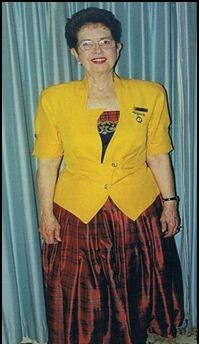 Maree serves to this day on Highland Dancing committees with much dedication, commitment and integrity. Maree was awarded the Order of Australia Medal OAM on Australia Day 2013 for her service to Highland dancing as a teacher, adjudicator and administrator.